The basis of Roden Company activity is waterjet equipment manufacturing, as well as waterjet cutting of various materials as a separate direction and type of service. In addition, our company has successfully developed other directions of its activities, one of which is complex metalworking. Roden Company performs both single and serial orders for manufacturing goods - machinery, parts, metal constructions, and so on according to the drawings or sketches of the customer. At the same time our production potentialities allow to use the full cycle of metalworking, which includes various types of metal machining (turning, milling, flat and round grinding, coordinate boring, etc. ), heat treatment, welding. The staff of highly skilled experts of Roden Company is able to develop the necessary documentation or conduct design studies of the customer’s engineering documentation (checking of engineering documentation, error analysis, elaboration and so on), perform technological preparation of the product manufacturing (design technology, the preparation process routes, tool design the necessary tooling and so on) and high-quality parts and manufacture the product assembly qualitatively. These methods of metalworking are supplemented by the arsenal of various non-standard fixtures and fittings of own production. Working with customers we guarantee a creative approach to help in solving difficult technical problems. Roden Company carries out individual or batch orders for repairing, restoration and manufacturing of components and individual parts, spare parts for agricultural machinery, metal-working machinery and agricultural equipment. 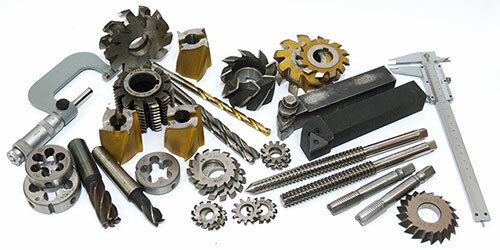 Complex repair and restoration of complex assemblies and parts of agricultural machinery, hinged tools and vehicles (shafts, gears, housings, couplings, clutches, etc.). Repairing and restoration of assemblies and parts of metalworking machine-tools, non-standard stand equipment (spindles, pulleys, etc.). Repairing and manufacturing of non-standard wearing parts and parts for small agricultural machinery (knives for power tillers, hand plows, stick crushers, trimmers). To order these you are only to fulfil contact with our specialists. Design section of Roden Company performs the product development for the needs of our company, and for the elaborating or documentation development for the product of the customer. Design is carried out in computer technology in CAD such as Compass, AutoCAD, Solidworks and others. Roden Company experience for more than 10 years of cooperation with different enterprises in Ukraine producing serial products allows to guarantee our partners high degree of comfort while collaborating in industrial cooperation. We provide design support, technological support, guaranteed quality and terms.